This report looks at the typical costs associated with setting up and operating a manufacturing business in the Gulf Cooperation Council (GCC) countries. 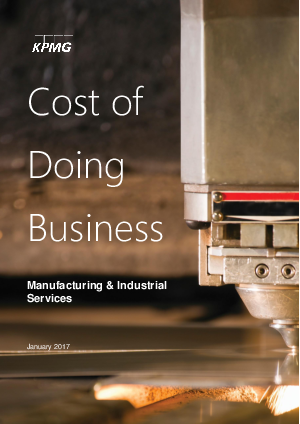 The report compares a wide range of costs involved in setting up and operating a manufacturing business across specific jurisdictions within each of the GCC countries. Some of these are one-time costs related to setting up of the business and its supporting infrastructure, while others are annually recurring costs pertaining to operations and regulatory requirements. The key costs compared in this report pertain to: Company Formation; Land Rental and Construction; Utilities; Manpower; Visa and Labor; Ports and Customs. The costs have been compared across specific Free Trade Zones (FTZs) and Investment Parks / Cities within each GCC country and have been benchmarked for the purpose of this report. Bahrain exhibits the lowest values for a majority of the cost components, thereby presenting an optimal case for establishing a manufacturing business. At an overall level, the cost for operating a manufacturing business in the GCC is lowest in Bahrain (BIIP), being 21% lower than the most expensive location, JAFZA in UAE.